Are the leaders of the environmentalist left engaging in blatant hypocrisy? Is the world really going to end in 12 years, as some candidates like Beto O’Rourke allege scientists are saying? Why is the left now using environmentalism to promote unrelated policy goals like healthcare? 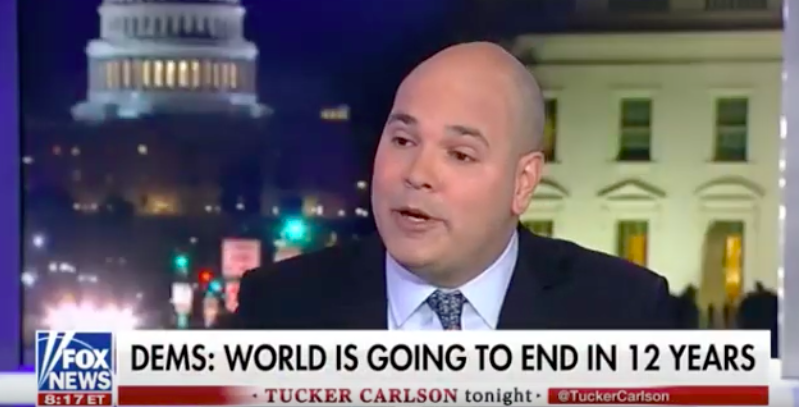 Power The Future Executive Director Daniel Turner appeared last night on Fox News for a discussion with Tucker Carlson about these issues and more. Turner explained how so-called environmental leaders like Alexandria Ocasio-Cortez and Bernie Sanders refuse to live up to their own eco-standards in their personal lives, the future of the environmental debate, and more.